The monthly average cost for this provider is estimated at $4,888. This is higher than the $4,848 estimated cost for the city of Kingsport. The cost for the State of Tennessee is around $3,986, versus $4,215 nationwide. Our mom needed the safety of a full-time staff with her plummeting blood pressure. Brookdale quickly stepped to the plate offering her the assisted care she needed. They worked with us quickly to get her in and settled and she is thriving. The have even made arrangements for her quilt guild to meet on the premises monthly. The staff has made her feel welcome and comfortable. Though she is mentally perfect we needed to know there was someone there in the event of a sudden BP drop. Brookdale Kingsport has been wonderful, making sure mom is healthy and happy. Located in the Bloomingdale area of Kingsport, Tennessee, Brookdale Kingsport is a housing community for seniors. They offer senior care in a well-maintained and pleasant setting. The area this community is located in is a predominantly middle income area, with a median household income of $37,552. It is heavily populated, including approximately 40,038 people in the zip code of 37660. This facility is centrally located, with retail shopping, health care facilities, and worship services all in a close distance. There are 49 churches within four miles, including North Kingsport Church of God, St Dominic's, Northeast Church of Christ, and Mountain View Methodist Church. There are 19 drugstores within 1 mile of the community. They're also located only 0.6 miles from Indian Path Medical Center. 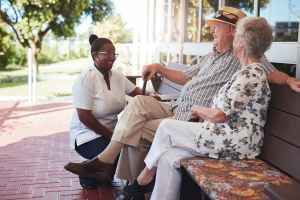 Brookdale Kingsport offers nursing home care, independent living, assisted living, and dementia care. 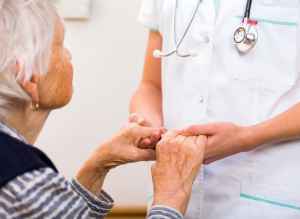 They can provide care for those who are severely infirmed and need help with daily activities but also need to have regular access to health care services. 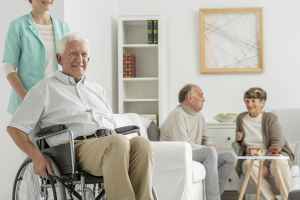 Also, they can provide for individuals who simply wish to live around other seniors in a fun and communal setting but who are otherwise healthy and independent. 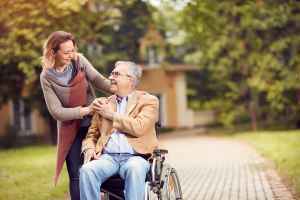 Additionally they can offer care to those who need help with daily tasks but who desire to maintain their independence to some level. Lastly, they can support those at any level of dementia or Alzheimer's who need support with daily tasks and monitoring to prevent wandering. This provider has multiple health services like wound care, nurses on staff, help with personal care, and medication support. Additionally, they offer several personal services such as a 24-hour staff, transportation assistance, and laundry services. Finally, they offer a few different housing choices that include studio suites and single bedroom suites.